I made this meal for dinner last night and I foresee it becoming a staple of my newly vegetarian diet. It’s so simple, delicious, and very cheap. It’s also very quick to make, which is always a definite plus for me. 1. Cook rice, water, black beans and salt in a rice maker or in a covered pot on the stove. I use a rice maker so it automatically shuts off when done. 2. Slice plantains and fry over medium-high heat in vegetable or coconut oil. They should start to slightly brown. 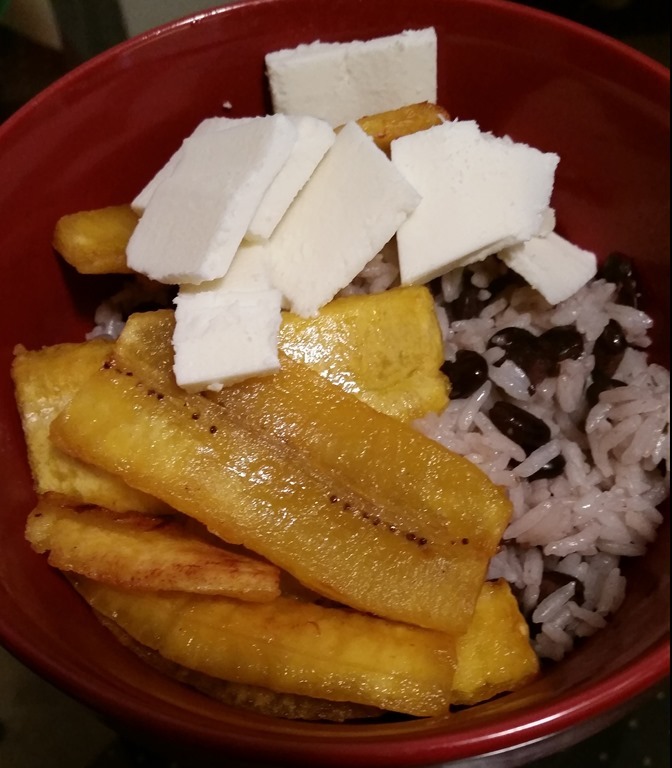 Serve the rice and beans in a bowl with the fried plantains and slices of queso fresco on top.